Built in 2017 through a partnership with Long Island Aquatic Club and Nassau County, the Freedom Pool is an Auxiliary pool adjacent to the Nassau County Aquatic Center. In August 2017 LIAC hosted two of the biggest meets on USA Swimming’s Calendar: the US Open and Speedo Junior Nationals. The Freedom Pool served as the warm up pool for these competitions. Almost 1,500 athletes, their families and coaches descended on the Nassau County Aquatic Center to compete on USA Swimming’s biggest stage. Olympic medalists such as Ryan Lochte, Cullen Jones, and Ashley Twichell raced along side local stars like Maggie Aroesty, Kristen Romano, and Timothy Marski. Watching their heroes compete in person certainly made an impact on young swimmers and swim fans in the area, but perhaps the bigger impact is the economic boom the event brought to the area. Over the course of 15 days between July 28 and August 12th swimmers from 46 states and 5 countries slept in local hotels, ate in local restaurants, and visited local attractions. What’s more, these elite athletes didn’t just travel with their families. Coaches, USA Swimming officials and staff brought an additional 600 people to the area totaling an economic impact of more than $2 Million dollars. ​Between 4:00pm and 10:00am the pool is the training home to Long Island Aquatic Club's Nationally Ranked Gold Medal Team. Between 10:00am and 4:00pm the pool is available for county programing. ​During the winter months the facility is covered and heated. From April through October the pool will be partially open allowing for another outdoor swimming option in Nassau County. 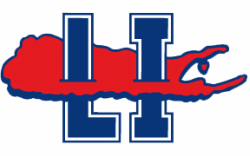 There is no other sports program on Long Island that rivals LIAC’s record of achievement. The LIAC program is a major contributing factor to its student-athlete’s record of academic and athletic excellence and social maturity. We strive to develop champions in the pool and in life. Marine First Lt. Matthew D. Lynch was one of those champions. Matt swam for Long Island Aquatic Club for seven years achieving national level qualification times. He went on to swim and play baseball at Duke University. After graduating Duke, Matt entered Officer Candidate School and earned the rank of Marine 1st Lieutenant. He died October 31, 2004 serving during Operation Iraqi Freedom. The late Marine 1st Lt. Matthew D. Lynch made a considerable contribution to the Long Island Aquatic Club family, Duke University, United States Swimming, and the United States of America. Over the last 38 years more than 50 LIAC athletes have chosen to fight for our freedom as members of the US Military. We recognize their service and bravery by honoring them with the naming of the warm up pool for this meet, the Freedom Pool. Thank you to Matt, the LIAC Alum and their families, and all who serve our country to protect and fight for our Freedom. You are our champions.